Our Garden Rooms are designed specifically to be low maintenance and withstand the elements and time - their unique cross section composite material means they deliver traditional timber appearance with absolutely none of the additional upkeep. 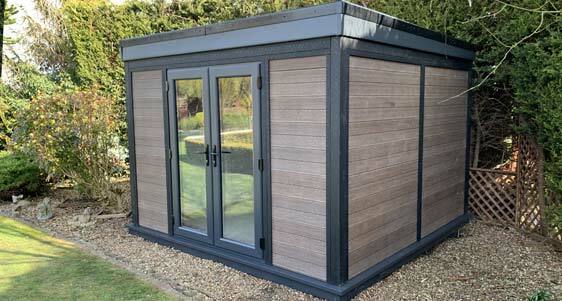 Garden Rooms are available Supply and Fit or Supply Only, in a range of different sizes with or without decking from just £7,050. They are fully adaptable and cheaper than moving house or adding an extension, making them a brilliant long term investment. 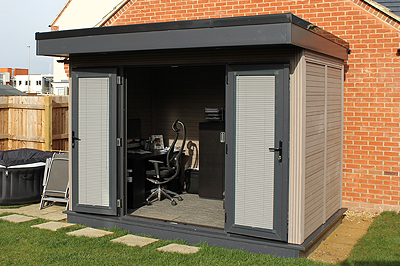 Our Garden Rooms are so versatile that you can use them for literally whatever you want! With the ability to create partitions and separate rooms, your space can even be used for multiple purposes e.g. a treatment room that doubles as storage for gardening equipment. You have complete freedom of choice when it comes to your design and how you use your new space. Internal walls can be added with a separate door access to create partitions and separate rooms. Different finish and glazing options are available, as well as the choice of Bi-folding or Sliding doors to finish your module. 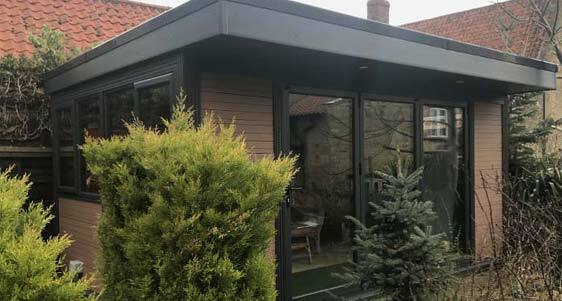 With engineered timber roofs featuring 100mm insulation panels and proven high performance EPDM BBA certified rubber membrane, our garden buildings offer up to 3 times more wall insulation than traditional timber garden rooms and offices. 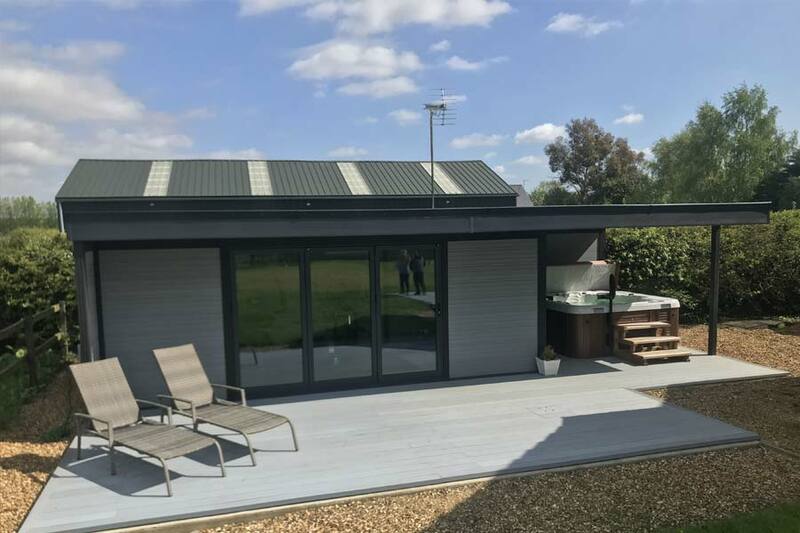 Our Garden Rooms are fitted with anthracite grey PVCu double glazed doors and side screens as standard, and with multiple insulation features they are a comfortable year-round solution for adding extra space to your property without the need for an extension. 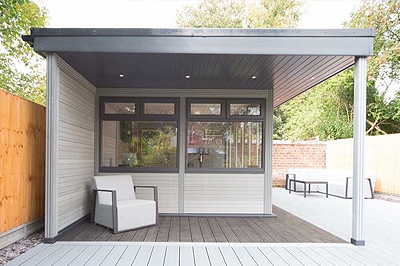 Our Garden Rooms are made up of a unique blend of recycled wood and plastic polymers, producing a composite wooden products, which provides excellent weather resistance, high thermal insulation. 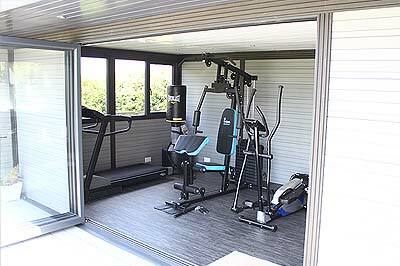 They are designed and manufactured to be 100% maintenance free structures and you will never have to worry about painting, staining or sanding your Garden room since they are guaranteed to not rot or warp. Choose the perfect colour that’s just right for your garden, or even mix and match to create your own unique garden room. We utilise a revolutionary new concept “Ground Screws” to provide a firm solid base for your new Garden Building. The advantages of using ground screws is that there is no need for excavation work and so no need to turn the garden upside down. Ground screws can be installed anywhere you normally dig to concrete. 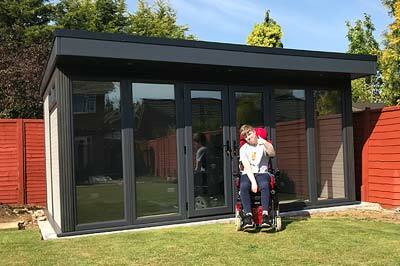 Want more information on our Garden Rooms? Visit our dedicated Garden Rooms Website for more information on our high performance garden rooms or Request a Callback at a time that suits you.